Bemanzil Musafir Novel Authored By Aslam Rahi M.A. 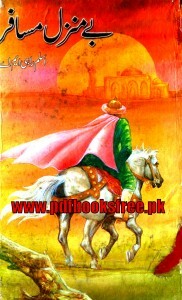 Bemanzil Musafir novel contains an unforgettable historical story of the last Banu Umayya Prince Abdur Rehman Al-Dakhil. Complete life story and biography of Shehzada Abdur Rehman Al-Dakhil in Urdu language. Visit the following link to read online or download Bemanzil Musafir novel in Pdf format.